Humans of MYAC Mission Statement: Humans of MYAC began as an initiative to share the lives and portraits of the important people participating in the legislative process. In the Council’s vision to become an effective voice that advocates change, ensures equal opportunity for all youth, and encourages political conversation, the Council aims to share the journeys and the stories of the people working behind the scenes. By amplifying the voices of those legislators, council members, and public servants, we hope that viewers will gain an understanding of who is the Council is and what they stand for. This past July I had the opportunity to travel to Turkey with Turken Foundation, a non-profit organization based in New York City. 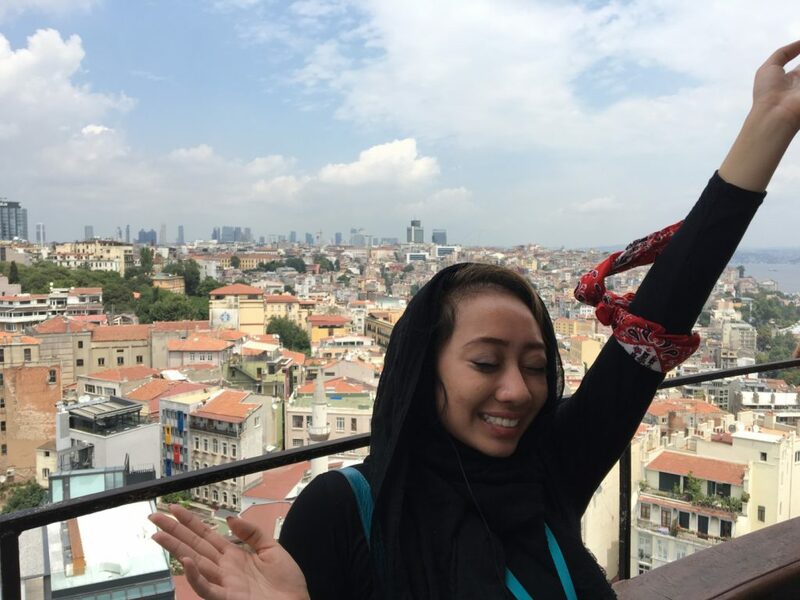 Alongside 70 students from all over Canada and the United States, I explored the rich bustling streets of Istanbul, the legislative faces of Ankara, the picturesque landscapes of Cappadocia, and the poetic history of Konya. The program’s goal is to bridge American and Turkish cultures, in its truest form, it was a 10-day exhausting and invigorating academic intensive. On the first two days, American and Canadian students attended a series of lectures at Ibn Haldun University with topics ranging from Turkish cultural policy to US-Turkey diplomatic relations to Ottoman History. Subsequently, the first full day of the program landed on 15 Temmuz or July 15th. Drawing parallels to Independence Day in the states, July 15th in Turkey is the two year anniversary of a failed coup by the military in 2016. On this day, crowds of Turkish citizens rushed to the streets to protest against the tanks and armed soldiers attacking their democracy. It was evident the day was filled with emotion and pride for the citizens of Turkey. It was fascinating to hear directly from students, reporters, and protestors who experienced the coup first hand. For the first five days, I was in absolute awe of all Turkey’s wonders. The stark contrast of European and Asian influences culminated in the beautiful architectures of the Galata Tower, the cobblestone streets, the Hagia Sofia, a church turned mosque turned museum, and the Grand Bazaar, where I got to get my shopping fix and got to try my hand out at bargaining. Leaving Istanbul was bittersweet, it marked halfway the end of my trip but I was anticipating the next three cities. The next five days, I visited Ankara, Cappadocia, and Konya; three drastically different cities but all amazing experiences. In Ankara, I visited the AFAD, the disaster and emergency relief corps of Tukey, and later had an enlightening dinner discussion about Turkish policy with a diplomat. In Cappadocia, I went on a sunrise hot air balloon ride and explored underground churches. And in Konya, I enjoyed a cup of traditional Turkish coffee and watched a dance of the whirling dervishes. My time in Turkey, although short and sweet, was full of spontaneous adventures, meaningful meetings, and illuminating experiences. Traveling, I consider, is always the best learning lesson; being able to interact with the locals, speaking the language, and venturing out on my own. For now, I can’t wait to share what I’ve learned with the Council and implement my experiences into our next projects and initiatives.